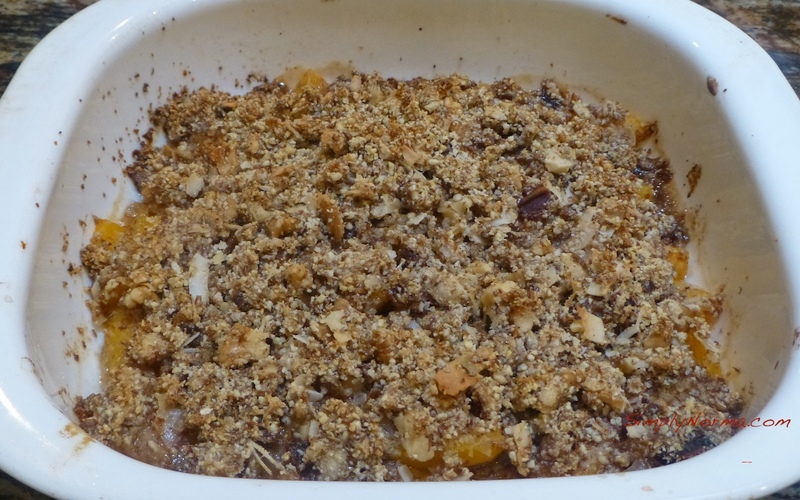 It is never too late for cobbler, is it? This Peach Cobbler is paleo and vegan — and very good. 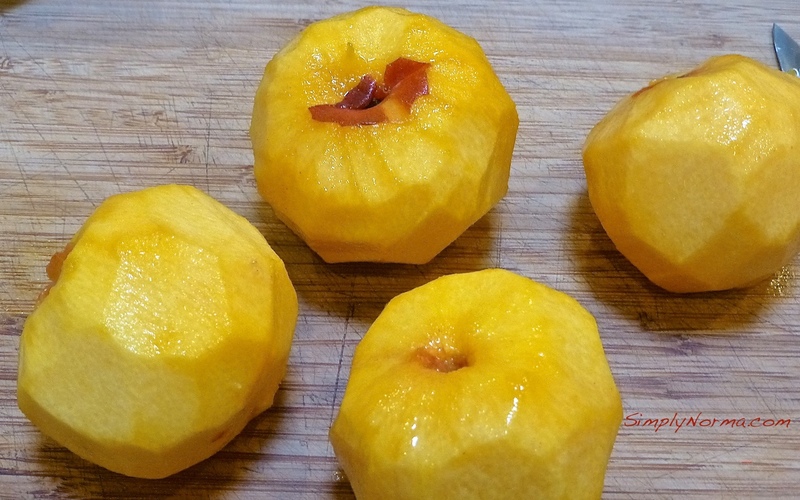 I used peaches that were not over-ripe but were “ripe enough.” A strong smell of “peaches” is one sign of their ripeness. The other is how soft they are. Here are the key ingredients. 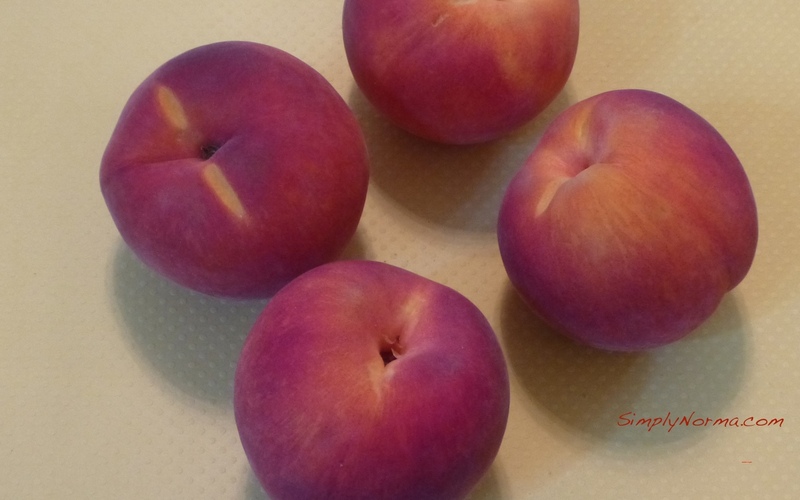 You’ll be peeling the beautiful peaches, removing the pit and then slicing them. Next you’ll be putting these slices, tossed with lemon juice, vanilla extract, cinnamon, allspice and salt, into a baking dish. And when it comes out of the oven — whala! It will look like this. Now — I know it’s not the prettiest picture. I’ve debated back and forth whether to try to make my pictures really pretty but decided against it. The “normal” person doesn’t make everything all pretty — they just cook and eat. No? 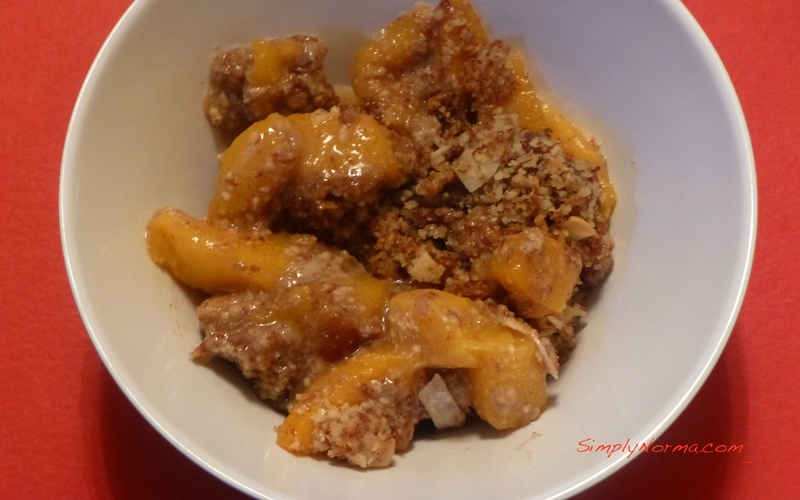 Are you ready to try this delicious peach cobbler? 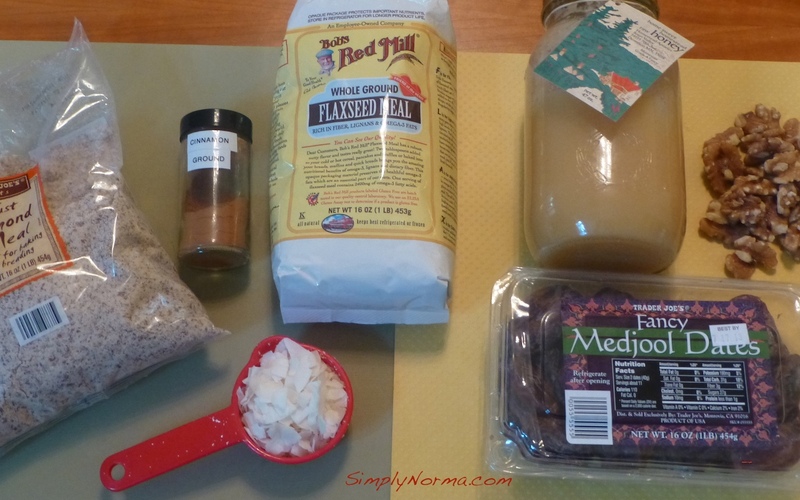 I have to assure you that it tastes just like a “regular” cobbler even though it’s a healthy paleo recipe. 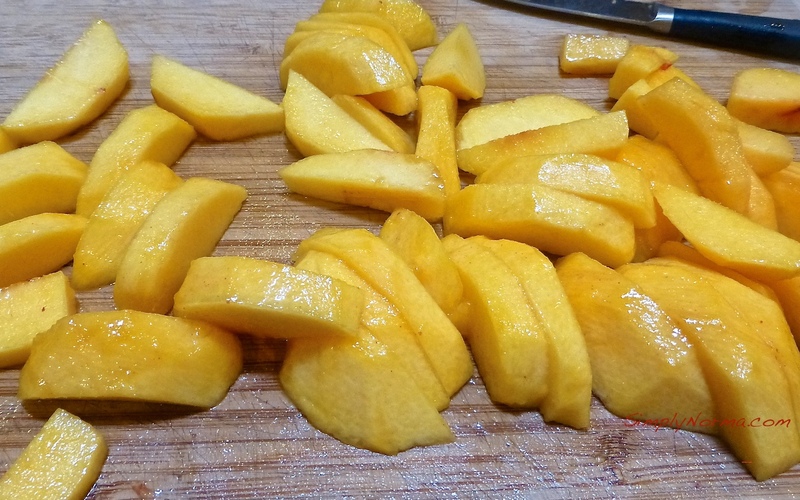 Peel, remove the pit and slice the peaches. 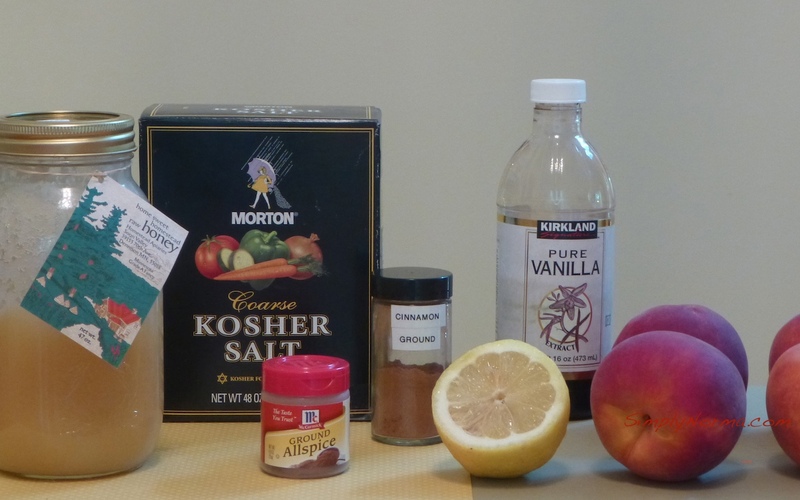 Add the lemon juice, vanilla extract, cinnamon, allspice and salt to the peaches then gently stir to combine. 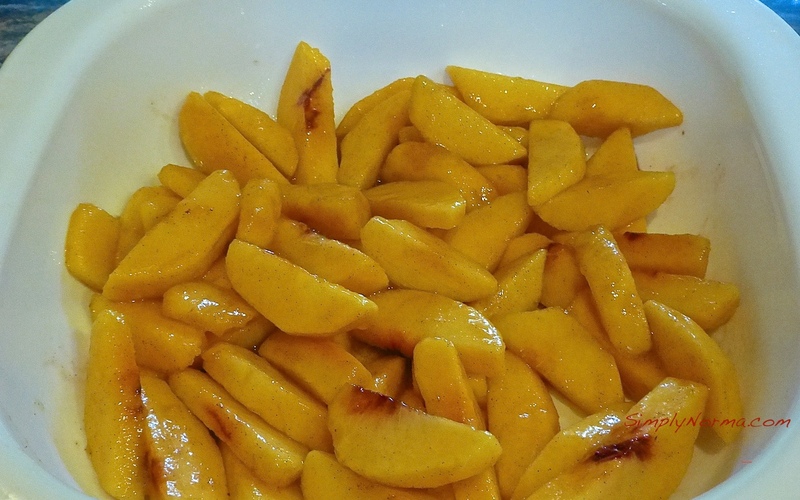 Pour the peaches into a baking dish. Chop the dates, coconut flakes and walnuts. 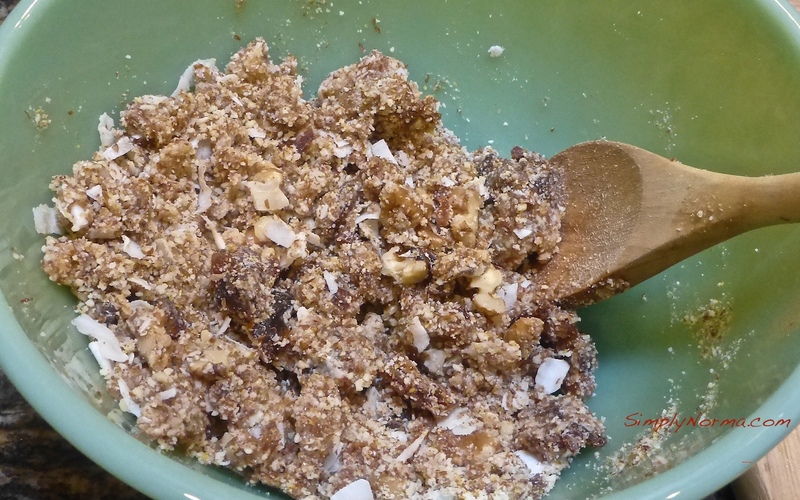 In a separate bowl, combine the dates, coconut flakes, walnuts, coconut oil (which does not have to be melted), almond flour, flaxseed meal, honey and cinnamon. Stir everything to blend together then spread the topping over the peaches and sprinkle with a little salt. Cover the dish with aluminum foil and bake for 25 minutes. After 25 minutes, uncover the dish and bake for another 10 minutes, or until the top is bubbly and crunchy. Okay now — have a slice! Note: This is the 3rd recipe that I’ve tried in a week from Paleo Effect which tells you that you should head over there and try some of her other recipes as they are tried and true. Looks good! Do you deliver? I will be trying this soon! You’re a tad too far for delivery. (smile) We refrigerated the leftovers and reheated them the next day and the next. It re-heated wonderfully. It’s a great recipe for a potluck.